Drivers are crossing state lines to buy legalized marijuana in states such as Colorado and Washington. Eighteen states and the District of Columbia have enacted laws to legalize medicinal marijuana. Two states, Colorado and Washington, have taken it one step further by legalizing recreational weed in general. Meanwhile, in neighboring states where marijuana remains illegal, beer runs are being replaced with pot runs. A fact not lost on law enforcement. 1) Driving high is no different than driving drunk. If you indulge before the return trip home, you risk arrest for driving while impaired. Both Colorado and Washington have defined five nanograms as the legal limit for pot in the system. For more on this, visit our article on smoking pot and driving. 2) Don’t underestimate law enforcement. They’re keen to the scene. 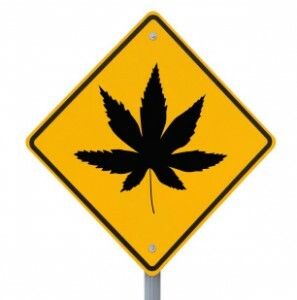 Think twice about embarking on a weed-quest in a car sporting a “Highway 420” bumper sticker. What may make Cheech & Chong fans snicker, will attract the attention of authorities. Think of how law enforcement would react to a bumper sticker declaring, “I love to drink and drive!” Pot stickers carry the same effect. Okay, okay. Yes, this undermines my assertion that most police officers are “keen to the scene,” but this does reinforce the attention pot bumper stickers – real and alleged – garner from authorities. 3) If you're attempting to sneak home with more marijuana than your state legally allows, don’t fool yourself into believing authorities aren’t hip to marijuana bakery products. They can discern the difference between a pot brownie and Little Debbie Snack Cake. According to the Nebraska State Patrol, officials have noticed a dramatic jump in arrests for marijuana-laced brownies, cookies and candy bars originating from neighboring Colorado’s medical marijuana dispensaries. 4) Be smart. Know the rules. Ignorance is not bliss when it comes to marijuana possession. For instance, Kansas, which borders Colorado, still views pot as a contraband. Possession of any amount is considered a misdemeanor with a possible one year jail sentence and a $2,500 fine. Even though you may have purchased it legally in Colorado, it automatically becomes illegal if you get caught with it in Kansas. This also applies to medicinal marijuana. 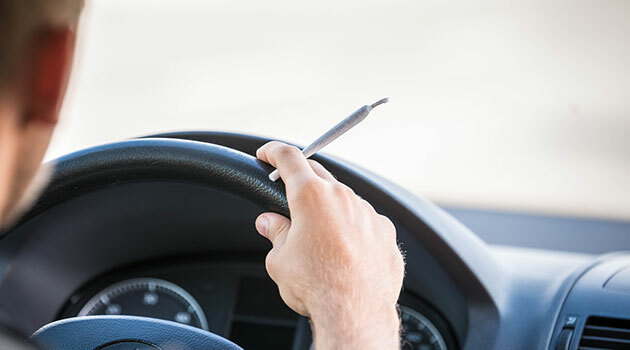 Even if say you have a legally obtained medical marijuana card for New Jersey, you can still be arrested for possession if caught driving with your legal loot in Pennsylvania. Whether you are a resident or just passing through another state, if you're packing pot, be sure you know the marijuana laws. And just because some states allow you to legally carry small amounts, it's never wise (or legal) to drive under the influence. Never. We sparked a huge debate yesterday when we asked our Facebook fans whether all states should legalize marijuana. Some believe in pot's potent power to heal while others think it's a gateway drug that has no positive value. What are your thoughts? Should all states follow Colorado and Washington's lead?